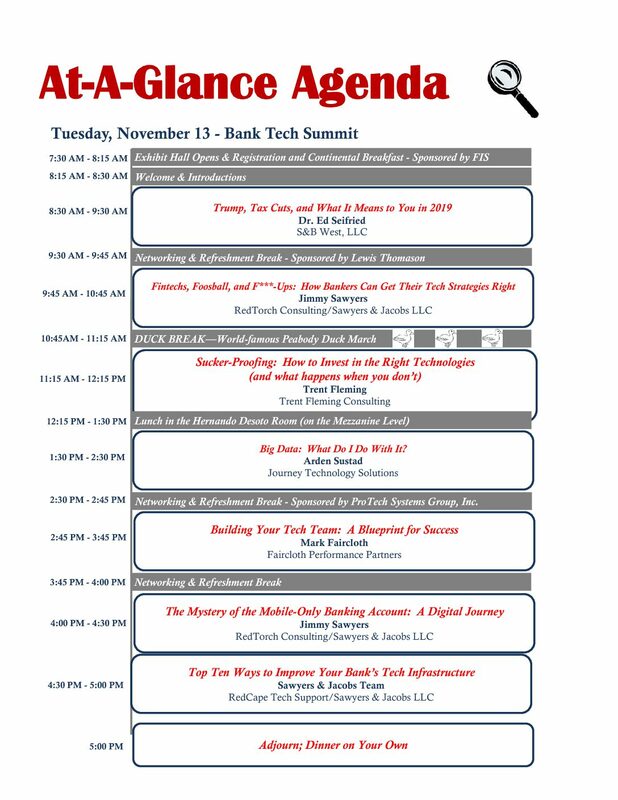 It’s not too late to register for Bank Tech Summit 2018. The full agenda is available so you can check out the hot topics and outstanding speakers scheduled to help you launch your bank into 2019 on a trajectory for innovation and success. We still have a few seats available so register today and we will see you next week, November 13-15, at the Peabody.